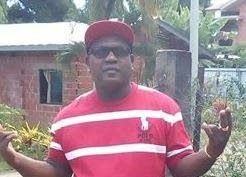 MORUGA, T&T - Moruga gardener Valentine “Mightyman” Andrews, 48, was shot and killed last night, MARCH 28, 2019, at home at La Lune Village, Moruga. Police said shortly after 9 pm, two gunmen stormed into the house at St Andrews Terrace and shot him while an accomplice stood guard outside. Andrews died at the scene and the killers fled. Neighbours heard the gunshots and contacted police.Sgt Seepersad and other police from the Moruga Police Station as well as Homicide Bureau Region III searched for the killers. There is no motive for the killing. Meanwhile, T&T police are also investigating the death of a 20-year-old man who was found dead in D'Abadie last night, March 28, 2019. North Division police found Mikel Joel Jones dead at the corner of Garden Boulevard and La Resource Road after getting a report at about 9.30.He was lying on his back, wearing a white T-shirt and blue three-quarter jeans. The body was taken to the Forensic Science Centre in St James. Police have no motive for his murder.